Toronto-born Ana Stasia‘s new single, Hotel Key, from Best Life-EP, was shortlisted at the 61st annual Grammy Awards. Her sound is a captivating mélange; think Fifth Harmony meets Aaliyah and Solange. 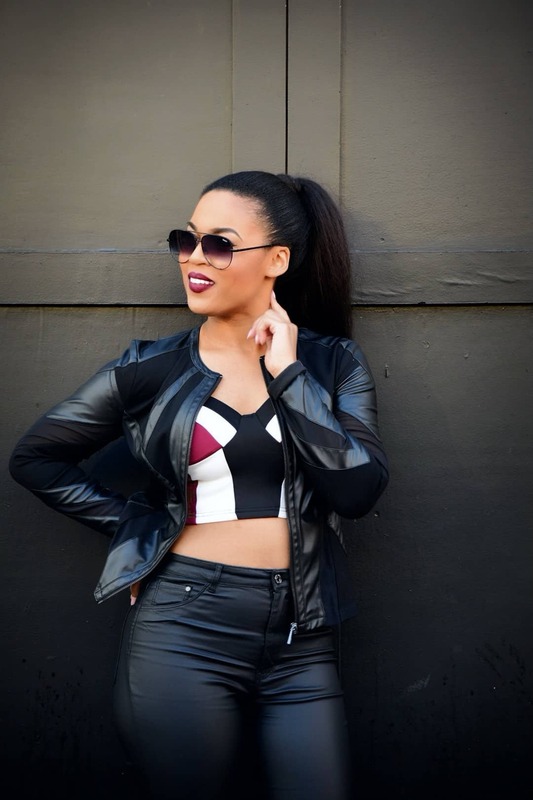 The Caribbean-Canadian R&B/pop singer-songwriter is also an actor and has appeared on Grown-ish, Black-ish, Scandal, Lucifer, NCIS: Los Angeles, Brooklyn Nine-Nine, S.W.A.T., Criminal Minds and Champions. I feel most content and at ease when songwriting and recording in studio. Some of my greatest musical influences have come from the culture and rhythms of my Jamaican and Bahamian heritage. Bar Mercurio’s Margherita pizza. It never disappoints. What film has recently wowed you? The most recent film that impressed me is Bohemian Rhapsody. As an actress, I have immense appreciation for Rami Malek’s performance and portrayal of the late Freddie Mercury. It takes true dedication, craft and talent to immerse oneself into any role, let alone that of such a grand personality. The movie was brilliant. Principles of Corporate Finance by Richard A. Brealey, Stewart Myers and Franklin Allen and Short Introduction to Accounting by Richard Barker. Reading up on finance is always beneficial. The Beaches, Yorkville and High Park. I spent the first three months of my life living in the Beaches and have continued to visit the area regularly ever since. My uncle, cousin and godmother also live there. So the Beaches remains near and dear to my heart. I like Yorkville for its unique balance between sophistication and trend. The Toronto International Film Festival, in particular, brings such an inspiring air and community to the neighbourhood. As for the gorgeous cherry blossoms of High Park, is there any better, more serene escape? I am embarrassed to state that I have never visited Ripley’s Aquarium, but it is at the top of my list. I promise! Whenever I find myself in a rut, I re-invest in my health with an energizing session of SoulCycle. Forget Las Vegas, SoulCycle is the real day club and a great way to get those endorphins running. I truly believe that fitness is one of the best forms of self-care. My smartphone, unlimited mobile Wi-Fi, a portable charger, a microfibre towel and a wristlet in which I would have my birth certificate, passport, a pocket knife and water purifying tablets. Is that cheating? When I was seven years old and my brother, Nicholas, was three, our parents hired a new babysitter. Upon calling Nicholas for his bath one day, the babysitter interrupted our playing and Nicholas was not impressed. My three-year-old brother resisted, screamed and cried until, finally, he picked up the phone and dialled 911, proceeding to tell the police that he felt threatened by our babysitter having told him to bathe. It just so happened that Nicholas had learned how and to whom various emergencies should be reported earlier that same day. I told Nicholas to hang up the phone immediately, once I realized what he had done. Not surprisingly, the police department called back promptly. Suffice to say that the situation resulted in an amusing and unorthodox discussion between our mother and law enforcement. The three C’s in life are key: choice, chance and change. You must make the choice to take the chance if you want anything in life to change. Scoring/notation. I would love to further develop my compositional skills, such that I am able to produce physical scores for instrumentalists. I feel most like myself when my outfit is stylish, classy, comfortable and I am wearing a watch. What book have you held onto since you were small? To this day, I have kept my first Bible in its pink leather case, which my parents gifted to me as a child. Body image and the unrealistic beauty standards to which women are often held. Though there has been some change for the better, there is much work to be done. Just last week, I saw social media posts implying that size 6 now qualifies as being plus size. I cringe at having to employ the term “plus size” at all, and as one matures, they know better. The discouraging body image messages with which society bombards impressionable, young girls is obscene. A collective effort to encourage young women and men to be healthy, educated and confident would be far more productive, in my view. I am proud of the confidence with which I have pursued my dreams and followed my passion for the performing arts. Ten years ago, I was set on a career in entertainment law, which would have led to my supporting others in their endeavours to do what it is that I aspired to in my heart of hearts; instead, I can say that I am building a career in which I feel fulfilled, that has afforded me experiences beyond compare, and that leaves me in great anticipation of each day. For that I am thankful. I have several goals for 2019, but the two main ones are producing my first full-length album (to be released in 2020) and pursuing my Masters of Fine Arts (M.F.A.) at NYU Tisch School of the Performing Arts.